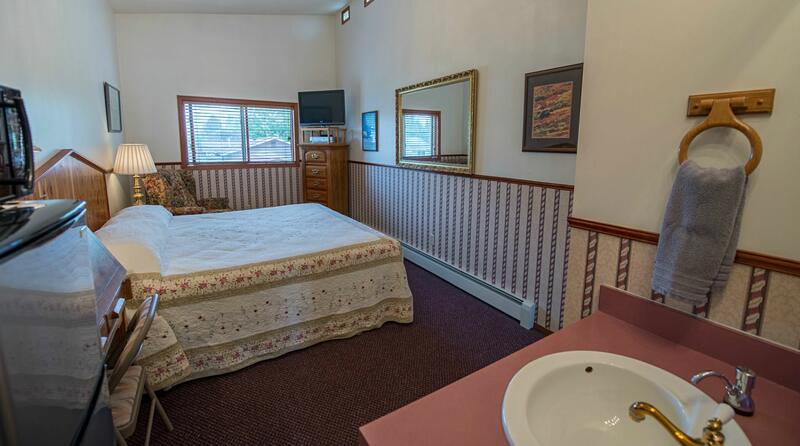 Peaceful, quiet rooms with king size bed. 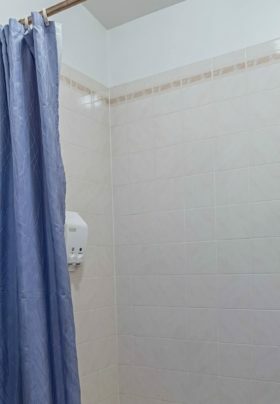 Rooms have private bath with tub and shower. 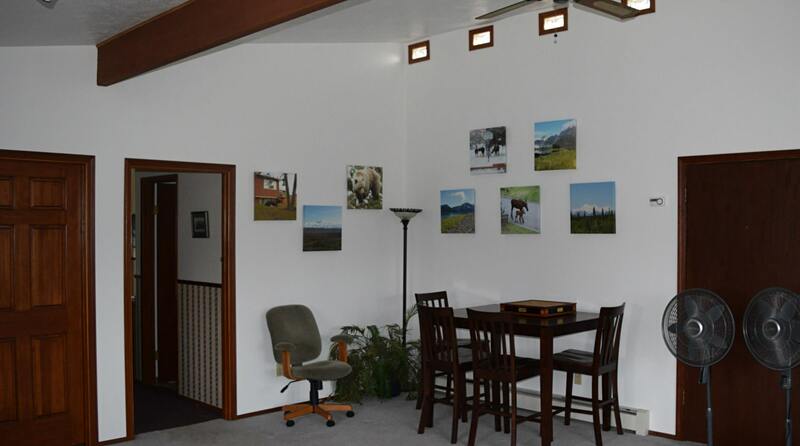 There is a comfortable chair, desk, refrigerator and microwave in each room. 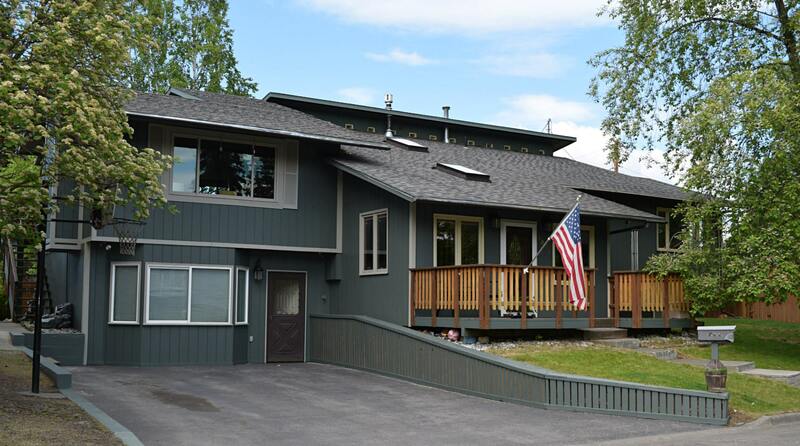 Cable TV, private guest living room and deck with private entry. 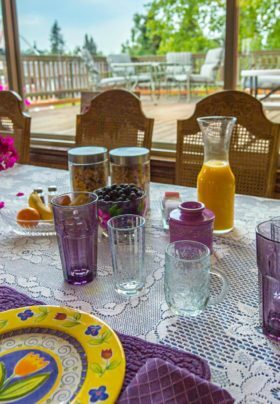 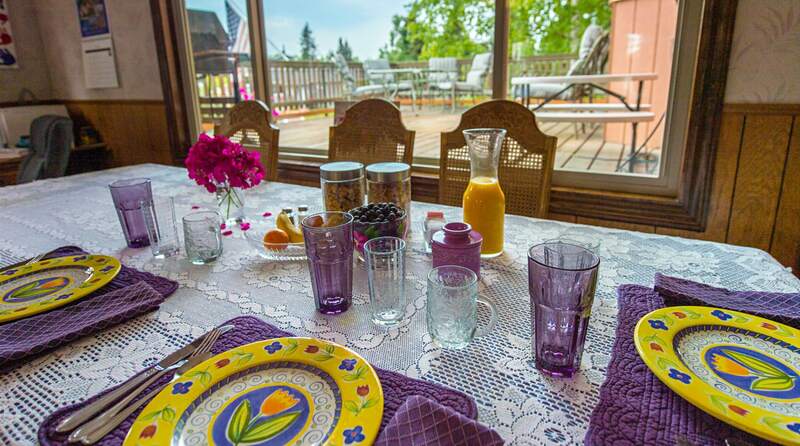 Hosts have twenty years experience sharing Anchorage and their home with guests from all over the world. 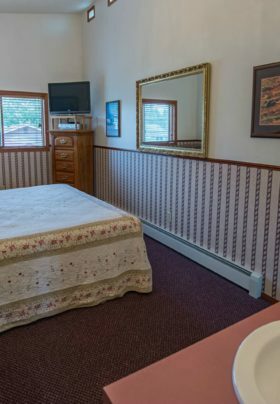 Be sure to ask for a multiple night stay discount. 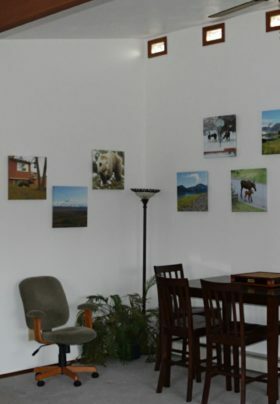 Excellent prices for long term stays, also.